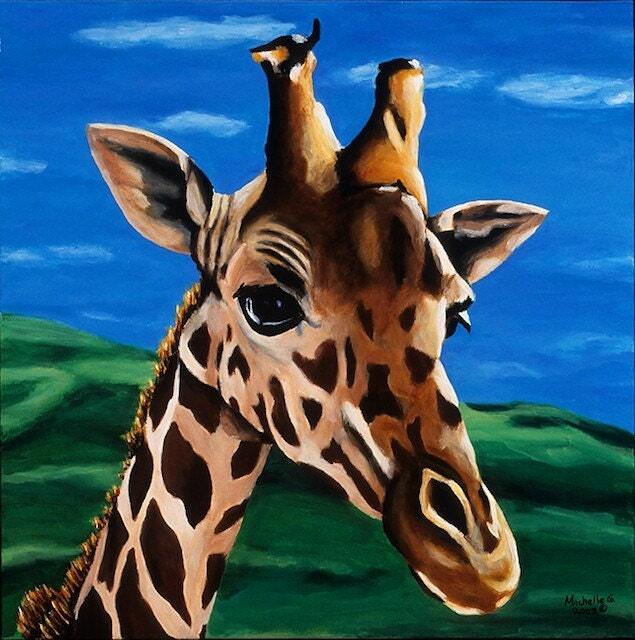 This green and brown print of a friendly giraffe would be the perfect artwork for your child's room, or zoo, safari or animal themed nursery for a boy or girl. I created this series of giraffe paintings to share my love of giraffes with fellow animal lovers and kids. People ask me why I paint them - to which I always ask if they have ever met one up close. If not - I highly recommend it! They are so big, and yet capable of being gentle, curious, and sometimes funny. 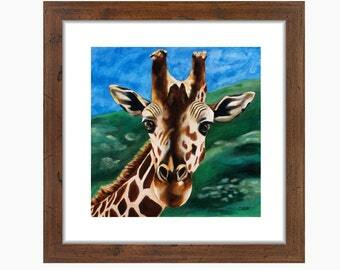 ★ Fits any 8 x 8 standard frame.